As opposition leader in 1971, Gough Whitlam made a risky move to visit Peking (just a few days before Henry Kissinger), and once he subsequently became Prime Minister made Australia an early partner with China. In contrast, under the leadership of Prime Minister Robert Menzies, former External Affairs Minister Paul Hasluck used to repeat the prhase, “At the end of the road, there is always China,” to warn about the threat of Communism. The extensive cultural and political relationship that has developed continues to shape both the good and bad sides of domestic politics in Australia. China’s decades-long rise across economic, political and strategic dimensions hit a turning point in 2018 in the Asia-Pacific. In 2017, Western political presence in and commitment to the Pacific began to pick up its pace in light of China’s perceived expanded presence. Over the course of my first full year living in Australia, this tension came to the forefront. Specifically, Australian leaders have tried to balance the drive for foreign investment and celebration of culture with avoiding overt political influence and over-reliance on a single trading partner. With February 2019 marking the start of the Lunar New Year, in this post, I take a look back at several key 2018 events by the numbers that have dragged into 2019. The bite-sized dishes (like yum cha) are served up in categories of the environment, governance, international trade, economy, and security. Many (but not all) of these events were influenced by China. 1.3 million tonnes of waste materials no longer sent from Australia to China. In late 2017, we heard about China’s “ban” on foreign waste that took full effect in early 2018, for 24 categories of solid waste that centred on recycling. In the short term, there was a crisis in local councils, increase in costs, and much of the waste may have gone to landfill; state governments still are not openly addressing the challenge of current recycling waste. Yet China’s “ban” presented an opportunity for Australians to thoughtfully consider their consumption habits and the amount of plastics they consume (such as bags, packaging or bottles), and for companies to employ new practices. The ABC ran a second season of its popular series War on Waste to challenge public and business perspectives, major retailers and states banned single-use plastic bags (with much media frenzy), and a movement to ban plastic straws picked up steam. This all led to development of the 2018 National Waste Policy which sets out to reduce Australians’ waste by 2030. While Australians have cut down on some plastic waste (see next point below), the need for a circular economy continues to go unanswered. States and territories have differing regulations but there are calls for unity as recycling domestically helps create more jobs than exporting the problem. 1.5 billion fewer plastic bags were consumed over 3 months in Australia thanks to a ban by major supermarket retailers Coles and Woolworths. By charging 15 cents per bag instead of giving them away for free, Coles and Woolworths have experienced an 80 percent reduction in their usage. As of 1 July 2018, Queensland and Western Australia banned single-use, lightweight plastic bags from major retailers. All states and territories have now phased out the bags, except in the two largest states. Victoria has started a plan, while in New South Wales, they are still commonplace! In 2019, Victoria’s phase-out of plastic bags will start. With an election in New South Wales, the issue may gain traction. $444 million was granted to the Great Barrier Reef Foundation by the Turnbull Government. While most everyone in Australia wants to protect the Great Barrier Reef, the grant, announced in April 2018, was controversial because it was not put through a competitive tender process per usual government practice, and at the time the Foundation had only six full-time staff. For a noncompetitive process, the auditor-general found that the grant’s objectives were to broad, such as “improved management of the Great Barrier Reef”, and disagreed with the department’s assessed value for money. The first project was awarded to the Australian Institute of Marine Science and started in January 2019. Despite the controversies, to remain a viable tourist destination and thriving ecosystem, the Great Barrier Reef will benefit from additional scientific attention and funding. The area faces threats from climate change and an Adani Carmichael coal mine that still faces opposition. Overall in Queensland, 2018 was a booming year for Chinese investment and boosted state leaders’ hopes for tourism. $18,390,818 estimated total cost (provided by the ACT Commission) for 9 by-elections since the 2016 federal election. There were 7 by-elections in 2018 for federal positions due to resignations, 8 countbacks, 1 vacancy filled by the Labor selection process; these were preceded by 2 by-elections in December 2017. Between 2016 and 2017, at least 9 Senators and 2 members of the House of Representatives resigned due to the “dual citizenship crisis” in Australia. Section 44(i) of the Constitution states that those who have conflicts of interest, or loyalties to other countries such as citizenship are ineligible for Parliament. This included, among others, Former Deputy Prime Minister Barnaby Joyce (who is now a backbencher due to his love affair scandal and not the citizenship crisis). Across the country, by-elections were seen as a referendum on the Government. Former Prime Minister Malcolm Turnbull was the most high profile politician to resign, and his was the one seat to change parties (from Liberal to Independent). A national election is due by May 2019, and already we’ve seen a movement toward more independent candidates stepping forwarding and rejecting the major parties. 85% of Australians think most or all federal Members of Parliament are corrupt, and ⅔ support creation of an anti-corruption body, according to a 2018 report by Transparency International and Griffith University. It was quite a year for local and federal corruption and foreign influence. Labor Senator Sam Dastyari was pressured to resign after a scandal over a relationship with a Chinese donor. He allowed a company owned by a Chinese billionaire to pay a legal bill and made comments about the South China Sea that went against party policy. At the local level, Queensland was particularly rocked. In Ipswitch, the entire City Council was sacked in July 2018 after 15 people with links to the council faced at least 75 charges by the Crime and Corruption Commission, including two former mayors and chief executive officers. While Ipswitch former mayors were primarily facing charges for fraud, the Gold Coast mayor was at the centre of a corruption investigation over potentially influencing council decision-making while holding interests in Chinese-owned property developments. Also, Logan City Mayor Luke Smith was charged on allegations of corruption based on receiving a boat from a Chinese property developer who donated to his election campaign fund. In a message to China, the Australian Parliament passed legislation to limit foreign interference in politics. MPs and former ministers must publicly reveal any influence by foreign governments. Separately, in contrast to Australian politicians’ recent anti-Huawei sentiments (for example, the cable controversy), the Australian Strategic Policy Institute showed in 2018 that Huawei was the biggest corporate sponsor of international trips for Australian Members of Parliament (7 trips for Liberals and 5 for Labor). States maintain anti-corruption commissions, but there is still no agreement about a national body. Meanwhile, a 2018 report showed that since 2012 Australia’s GDP has potentially been reduced by 4% due to corruption. Foreign interference, on the other hand, was agreed upon as a problem due to its national security implications. The 2019 Federal Election will have its first test with its new registration portal to show forms and sources of foreign influence in Australia’s political system. 500,000 tonnes of grain and 575,000 live cattle could be exported to Indonesia under the Australia-Indonesia Comprehensive Economic Partnership that was supposed to be finalised in 2018. Negotiations for the FTA began in 2012, and it was supposed to be a crowning achievement of the Turnbull Government. Prime Minister Scott Morrison has damaged the deal and delayed its signing – due to the fallout from his consideration of moving the Australian embassy in Israel late last year. Elections are also looming for both countries. The deal is highly sought after by agriculture and education groups, two of the most important sectors for Australia’s exports. Australian beef farmers have faced difficulties with a devalued rupiah and competition from Indian buffalo meat; fewer tariffs (and eventually zero tariffs) and raised caps for live exports were intended to lift business in the face of a drought. Despite the proximity, Indonesia is Australia’s 13th largest trading partner, and two-way trade was worth $16.4 billion in 2016-17. Free trade agreements are non-partisan in Australia, so either Labor or the Coalition Government could take credit for a finalised deal with Indonesia. 187,547 Chinese international students were enrolled to study in Australia in 2017-18. Education is Australia’s third largest export behind iron ore and coal, and students from China make up 30 percent of Australia’s international student population.Together, they brought in over $10 billion to the economy, almost a third of the total income of $32 billion. Chinese students are being called out by U.S. intelligence agencies among others for allegedly “spying” or thieving intellectual property (knowingly or unknowingly) on behalf of Beijing. Criticisms have also been laid on Confucius Institutes in Australia and abroad. Further, Australian universities continue to build relationships with Chinese companies, universities, and government departments like the UNSW China Centre and UNSW Torch Innovation District in order to boost rankings and research outputs, strengthen their base for international students, and commercialise research. Under the Coalition Government, universities have been encouraged to seek external funding through partnerships overseas and with the private sector, with the most opportunity found in China (particularly for engineering, science, and business fields). Universities will likely continue to balance the need for funding and striving for academic freedom. $1.8 billion committed by the Morrison Government to drought preparedness, emergency support, and low interest loans. States of NSW, Queensland, and Victoria committed an additional $1.684 billion. In 2018, the drought particularly across NSW and Queensland, was called “the worst in living memory.” Rain levels in some parts of NSW were the driest on record, and the entire state was declared to be in drought. Former Prime Minister Malcolm Turnbull said in June while touring a drought-affected area: “I don’t know many people in rural New South Wales that I talk to that don’t think the climate is getting drier and rainfall is becoming more volatile.” In October, in one of his first actions as new Prime Minister, Scott Morrison held a National Drought Summit; notably one of the objectives to guide future Drought Reform: “farming businesses and farming communities prepare for, and adapt to, climate change and variability and their effects, including drought and high temperatures.” As of October 2018, 854 farm businesses were issued concessional loans worth $490 million. Long-term action to combat climate change and cope with drought will be needed in order for farmers to succeed. Meanwhile, Australia remains committed to producing and exporting coal (its #2 export). 2.2 million temporary visa holders reside in Australia, including roughly 669,000 New Zealanders on 444 visas and 391,000 graduate students. As the number of students increases, apparently over 200,000 students per year switch to other visas to continue staying in Australia. The increase in students in major cities of Melbourne and Sydney has partly contributed to a strain on transportation and other public resources (but is certainly not the only cause). Additionally there are 176,000 people on bridging visas due to the Government policy of “slowing immigration.” The number of people on bridging visas has grown by almost 40,000 in the past year. Prime Minister Scott Morrison wants to cut permanent city migration; in a speech in November 2018 he said: “The roads are clogged, the buses and trains are full, the schools are taking no more enrolments.” Labor and the Coalition government and state leaders are entertaining ideas on how to cut immigration. 9.9 percent drop in house prices in 2018 in Sydney and 3.5 percent nationally. According to a Domain report, house prices have fallen 11.4 percent since their peak in mid-2017, with the median price at $1,062,619. Demand fuelled by population growth outstripped supply leading to the previous years of double-digit growth. Chinese purchases of Australian real estate softened overall in 2018 due to capital controls introduced in 2017, additional taxes, and difficulty in getting financing for foreign buyers. Bank lending has also tightened due to investigations from the Royal Commission. In 2019, house prices are predicted to continue to fall and may impact consumer sentiment. If Labor is able to end negative gearing, it will further support those wanting to purchase their first home. >$100 million spent on Australian support for APEC hosted in Papua New Guinea. Both Labor and the Coalition Government have announced plans to “step up” aid and security commitments to Pacific island neighbours to counter Chinese influence. In February, Foreign Minister Payne was the latest in a flurry of high profile Australian visitors to the region, traveling to the Solomon Islands, Vanuatu, and Tuvalu. $2 billion in concessional loan and grant schemes were allocated by the Morrison Government for infrastructure projects in the Pacific. Another $1 billion will be able in export financing. In November, Australia’s announcement of an infrastructure bank, Australian Infrastructure Financing Facility, is in line with the U.S. announcement in July of USD$113 million in new infrastructure initiatives in the Indo-Pacific region. In July 2018, Australia, Japan, and the U.S. announced a trilateral partnership to “enhance peace and security in the Indo-Pacific” by mobilising investment in transportation, energy, tourism, and technology infrastructure. This pact seeks to combat China’s Belt and Road Initiative and the Asian Infrastructure Investment Bank (AIIB). Meanwhile, whether or not anyone believes it, Labor leader Bill Shorten said that his planned infrastructure spending increase in the Pacific is not about China. According to the Asian Development Bank, emerging economies in the region will require at least USD$26 trillion for infrastructure by the year 2030. This figure has been adjusted for climate change and is more than double their 2009 estimate. Still, an increase in frequency and strength in natural disasters may worsen infrastructure prospects; leaders in Australia will be called upon to do more than throw money at projects that can be considered climate change adaptation. 1,587 U.S. Marines were stationed in Darwin. A record number of U.S. Marines were in Darwin for six months in 2018 to train alongside the Australian Defence Force. Troops from Japan, Malaysia, the Philippines, Singapore, France, and Thailand also were invited to take part in 15 training exercises in the area. Factory-level collective bargaining can serve as a pathway toward democracy in China, according to prominent Chinese labor rights activist Han Dongfeng. On Monday April 1, George Mason University hosted Mr. Han Dongfeng for a discussion about labor movements starting from the Tiananmen Square protests in 1989 to the contemporary situation in China. Since economic reforms by Deng Xiaoping in the 1980s liberalized trade and focused on obtaining foreign investment, workers have increasingly relied on industrial action to advocate for higher pay and better working conditions, disrupting production. Because strike organizers have generally been imprisoned or blacklisted and the labor system lacks organization due to a government monopoly on unions, workers have hesitated to take what Han calls “personal responsibility” to lead movements locally or regionally. In free market capitalism as well as China’s state capitalism, the relationship between workers, employers and the state has much room for improvement; instituting widespread collective bargaining is a “win-win-win” solution for China according to Han. The process of democracy has begun in China, and the labor movement provides a model lesson for how democracy can be institutionalized in workers’ lives. A leader of industrial labor movements, Han spoke with emotion and conviction about historical and current labor tensions and the slow progress toward democracy in China. As a railway worker, Han founded the Beijing Autonomous Workers’ Federation (China’s first independent, non-state trade union) during the Tiananmen Square protests of 1989. Because of his role in the protests, Han was arrested and held for nearly two years without trial. In 1993 after leaving China for medical attention, he was not allowed to return. Han moved to Hong Kong, and in 1994 founded the China Labor Bulletin, a nongovernmental organization that protects and promotes the rights of workers in China. Chinese workers are proud to keep their identity as working class. Their ability to successfully act collectively, however, has been hampered by the stripping of protective measures in the 1980s and strong state control over economic and political spheres. The removal of protections has led to a chaotic system of sporadic industrial action. Workers in China do not legally have the right to strike – that right was removed from the Constitution in 1982. What Han calls “wild cat” strikes continue to occur when workers demand higher wages or better working conditions from their employers, but have no option other than stopping work. While workers become more willing to strike as a group, they still often lack representation through independent unions. Workers’ right to collective bargaining should be legislated to enable unions to adequately represent workers in negotiations with employers. According to the International Labour Organization, “Collective bargaining allows both sides to negotiate a fair employment relationship and prevents costly labour disputes…Countries with highly coordinated collective bargaining tend to have less inequality in wages, lower and less persistent unemployment, and fewer and shorter strikes than countries where collective bargaining is less established.” Organizations such as the China Labour Bulletin and nonprofit organizations take up cases and help improve conditions and individual factories, but competition for workers in central versus coastal areas (city versus rural), improved work-life balance and consistent and rising wages could benefit from adequate public policy measures by the central government. To effect change, workers must continue their fight to force the CPC to make these reforms. Furthermore, workers can still face retaliation from their employers if they participate in or discuss strikes in the media. The China Labour Bulletin provides an example: “five workers who had taken part in a strike at Guangdong International Paper on 19 February said they were fired simply because they had given interviews to the media. They were neither the organizers of the strike nor even active participants in it.” It is then up to the workers to keep their elected representatives accountable. Earlier this year workers at the Ohms Electronics factory in Shenzhen petitioned for a recall and reelection of their union chairman after he failed to protect their interests with management in two disputes over contracts. As workers and representatives gain more confidence in negotiations with employers they continue to face difficulties that require legislative protections. Compared to 5 or 6 years ago, the government leadership in China has moved in a new direction regarding labor activism. Protestors and strike organizers now rarely go to prison for industrial action. According to Han, labor is one of the “least sensitive issues” for the Communist Party of China, even less so than environmental issues; by backing away from restrictions on labor rights and media freedoms, the CPC is strengthening civil society and allowing for more voices to be heard. These developments are encouraging for improved labor rights and standards. In contrast to Han, the new generation of workers does not remember the events of Tiananmen Square in 1989 and so are living without fear, particularly without the “fear of government.” Instead of fighting for freedom of assembly and political rights of the previous generation, new workers – who some say “lost their spirit” – seek improved economic status and the ability to purchase the goods that they produce. Han says with collective bargaining, he “can see some light at the end of the tunnel.” In Guangdong province, which includes major manufacturing and exporting cities Shenzhen and Guangzhou, the local government is starting to support collective bargaining initiatives. Official unions in China are another form of control, so enabling independent unions and programs to flourish in Guangdong will, Han believes, make the case for widespread collective bargaining within the next 2 to 3 years. As the market economy develops in China, workers will continue to demand more economic, political and social opportunities. Han believes that there should be more emphasis on labor rights at the start of democratic movements. By enabling workers to elect their own union representatives to negotiate on their behalf, they will be given a taste of the election process, creating a positive political habit. Others, in contrast, believe that organized workers will be the biggest force against the market economy by demanding more economic protections; but China can follow its own democratic path without instituting a classical market economy that mirrors the US. Local politics in China remains a product of local representatives’ personal interests; therefore workers must pursue their own interests to gain progress. When people ask Han “when will China be a democracy?” He answers, “What is the reference for a democracy?” In the United States and Europe, democracy is “still processing” as states battle with election fraud and strained political rights. China is at the early stages of developing a democracy; rather than answer the question of when China will reach democracy, Han prefers to answer when China will begin the democratic process, which he believes is starting now. “We cannot afford to advance our dream in one step. It is a long process and may not be achieved to the level that we want in our lifetime.” In comparison the Tiananmen Square protests and other large movements in other countries, the labor movement requires grassroots efforts that obtain small victories to build momentum. Historically these individual efforts have had more success and are proving more effective than a fast-sweeping movement. In their efforts, the China Labor Bulletin focuses primarily on internationally-owned factories to help create a model for future reforms. 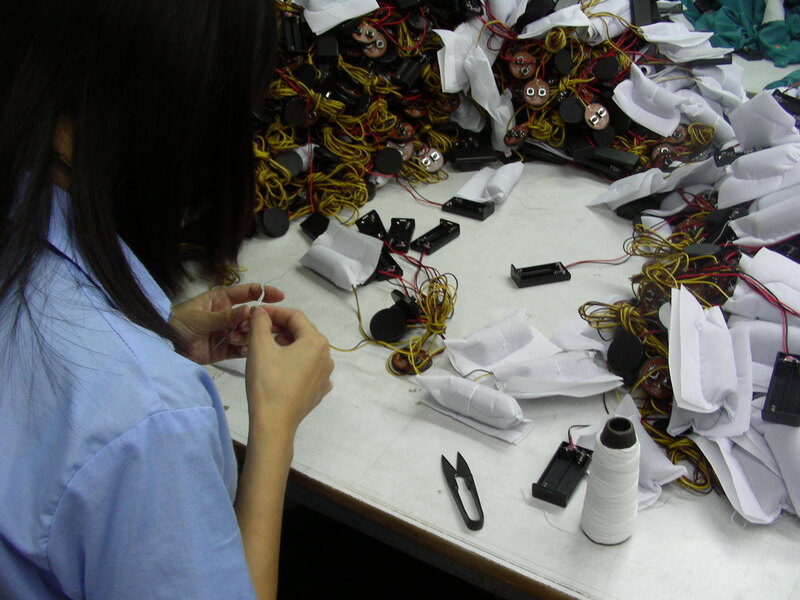 Some internationally-owned factories may already have higher standards than Chinese-owned factories, but they are also more profitable and garner more media coverage; the increasing media spotlight on particular factories such as Foxconn that serve international companies, combined with support for industrial action can help to improve domestic standards for working conditions. While labor movements in the United States and Europe are on the decline thanks to government reforms with pressure from business, the labor movement in China is on the rise and has significant international implications. As the world’s factory, “China made the race to the bottom possible,” but “that chain is about to break” according to Han. When asked about the future prospects for labor movements in the United States given right-to-work laws, Han agreed that workers in the US and Europe were in trouble. However, Han displayed optimism that the US will have a chance to restore its domestic production process; once an ever-increasing number of China’s 500 million workers raise their own working conditions and pay through labor activism, the price of goods will rise and, internationally, production will become more competitive. Chinese consumers will be hungry for American-produced goods and a more equal balance will be restored. Financial analysts agree that this “tipping point” will bring jobs back to American shores or other destinations closer to consumers. In the clash between workers, employers and the economy, Han believes that “everything is ready.” The current economic and political system cannot sustain itself; as international consumer demand has dropped, China needs internal growth from wider working and middle classes to boost consumer spending. Han is positive about the prospects for economic and political reform in China, seeing the new party leadership as “sincere in dealing with these issues.” Han and China Labor Bulletin are placed to help collective bargaining turn many of the 500 million Chinese working class producers into consumers. By continuing to highlight workers rights in China through high profile cases using international companies (like recent engagements with Wal-Mart and Apple) improved working conditions and pay increases can be fought for with collective bargaining and perhaps in the future freedom of association and other democratic practices. Collective bargaining is the sharp edge in a push toward increasing democratic practices in China. If Chinese labor activists can stake out a legal space for collective bargaining then this will establish democratic practices in Chinese workplaces and provide a safe space for workers to assert their allegiances and interests. Further, workers, employers and the Chinese government stand to gain from the stability that comes from having satisfied workers who have reasonable means for negotiations. The pursuit of improved material conditions for laborers and their families is a necessary motivation toward democracy. Employers will benefit from more stable labor relations, and “Economically [collective bargaining] is the gold mine for the government;” higher wages and benefits come from employers, but the government will get the credit for improving labor standards. While increased labor costs will likely raise the price of goods in the West, the global community and workers around the world could benefit from a more democratic and egalitarian China. 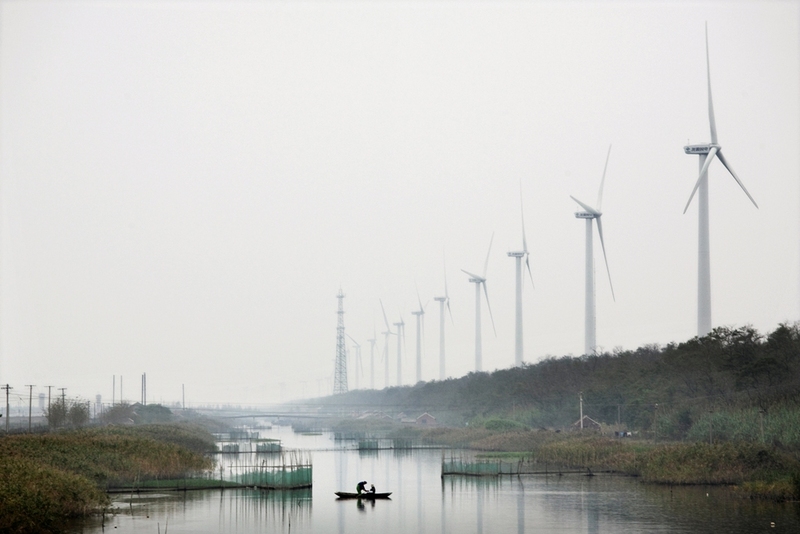 Can Wind Energy Clear the Air in China? Beijing’s record-breaking air pollution is making global headlines, and the hazardous air quality is “putting a lot of pressure on the government to protect the environment.” China already invests more in renewable energy – wind, solar, and hydro power – than any other state, and part of Beijing’s plan to cut national carbon dioxide emissions by 45 percent before 2020 relies on wind energy. But how did the local wind power industry develop and what are the future constraints? On January 16 I attended Georgetown University’s book launch for Dr. Joanna Lewis’ work Green Innovation in China: China’s Wind Power Industry and the Global Transition to a Low Carbon Economy. Lewis presented her empirical study of the growth of the wind energy industry in China by focusing on methods of international technology transfer, international cooperation and domestic government policies. Lewis examined China as a way of understanding the global wind energy industry and the political economy of the clean energy sector. China is the largest emitter of CO2, with more than a quarter of global emissions due in part to the country’s heavy reliance on coal, and will continue to produce a greater share of global CO2 emissions despite its large scale forays into the clean energy sector. Along with new hydropower plants and wind farms, China continues to build coal plants; two-thirds of China’s current energy consumption utilizes coal. Wind is only 2% of energy generated in China but still ranked third among sources. The wind power industry in China transformed over the past ten years in line with China’s development as foreign firms saw an opportunity for a new market. Lewis looked back to 1993, when there were few foreign firms and even fewer Chinese firms with domestic market share. Foreign firms such as Vestas and Nordex imported their European-produced wind turbines into China. Over time, foreign firms and domestic policy had a marked effect on the ability of Chinese firms to gain domestic market share. In 2003 Vestas merged with NEG Micon to become the largest wind manufacturer in the world; however many of the workers laid off due to the merger were hired by Chinese manufacturers, helping them to gain skilled workers formerly trained in the best factories in Europe. Additionally, Chinese government policies and laws such as the Power Concession Program (2003), Requirements of Local Content (2005) and Renewable Energy Law (2005) enabled local factories and encouraged the development of new wind farms. In 2005, the government mandated that 70 percent of turbine parts (for eligibility in the wind concession program) be locally sourced. With much pressure from the US, in 2009 China dropped its heavy local sourcing requirements for the wind energy sector, but the law had already served its purpose – it had a significantly positive impact on three domestic producers in particular, who are now among the world’s top 10 wind turbine producers. While top wind energy industry producers have since built factories in China for the Chinese market, not all have transferred technology to share innovation. From the start, American giant General Electric utilized its large Chinese manufacturing supply chain rather than importing wind turbines from the US. There are now more than 80 Chinese firms in the wind energy sector focused on local consumption. They benefit from licensing agreements, mergers and acquisitions and joint development as means of technology transfer. Chinese firm Goldwind is an example of a local star in the Chinese market that follows what Lewis saw as a pattern of developing country firms: begin with licensing agreements, then move on to joint development; and to gain maximum market share, act with mergers and acquisitions. In 2010 Goldwind maintained 90% of domestic market share. China was the largest investor in clean energy in 2010 and 2012, with wind industry investments outranking others. Wind energy is no longer on the fringe of research and development funding in the renewable energy sector and China has embraced the technology as a way to curb emissions, drive innovation and contribute to its economy. China is far ahead in deploying wind capacity; there are now many active firms in the Chinese market, and China is within the top 5 countries securing patents for clean energy. Whereas solar power manufacturing is targeted for export, the wind power industry is intended for domestic consumption because the Chinese market is so large that there is sufficient demand. As countries develop, advancement in the clean energy industry is possible in a relatively short amount of time (India and Korea provide additional examples as demonstrated by Lewis). Technology transfer is a positive way to spur innovation and bridge knowledge gaps. Licensing can be inexpensive, but the structure and information is limited with market restrictions. There is still an important role for government to encourage technology transfer, particularly where there have been problems with operations and maintenance of wind turbines in China. After all, the story of the wind energy industry still goes on after the equipment is built; machines need to be used and maintained effectively to enable power production with lower carbon emissions. Northern China and specifically Inner Mongolia has been the primary area of success for wind farm activity and growth; however, connectivity and curtailment issues remain. The US and China should try to balance policies that foster innovation while enabling sharing of technology that is critical for reducing carbon emissions, protecting the environment and improving livelihoods. China began as a ‘late’ producer in the wind energy industry but through government policies, strong domestic demand and international collaboration has secured many achievements. However coal still dominates the energy sector in China and there is still much room for international collaboration. There are many US-China bilateral operations, with the US-China Clean Energy Resource Center (founded in 2009) providing a path for genuine technology collaboration. Some policies conflict with international trade law (see Canada, as an example for local content) affecting bilateral cooperation. This problem could, according to Lewis, “blow up if not addressed by governments”. Much larger barriers exist for next generation disruptive technologies such as carbon capture and potential solutions such as carbon trading. One hopes that we will not have to wait for the fabled emergence of ‘clean coal’ technology for governments to have policies that adequately balance innovation and cooperation to share in the benefits of clean, renewable energy. On Monday September 17, the Asia Society and George Washington University’s Sigur Center for Asian Studies hosted the event “In Conversation with Jon Huntsman.” Moderated by David Shambaugh, the discussion covered questions for former Governor Jon Huntsman about the US political process, public service, US foreign policy, and current affairs in Asia. While many of the topics Huntsman discussed involved reminding the audience that the geopolitical and economic position of the US is sliding, he remained optimistic that America’s values are still the “envy of the world” and urged younger generations to participate in the domestic and international policy process. While being realistic about the challenges that the US faces, Huntsman offered areas to improve the country’s global image. Both at home and abroad, the US must seek collaboration with partners to correct issues such as mistrust that perpetuate a fearful narrative of competition. At least three times, Huntsman mentioned crony capitalism, and emphasized that the US has a lot of “cleaning up to do.” He offered solutions to help mitigate the “trust deficit” in the US, such as Congressional term limits, eliminating super pacs, and expanding participation in democracy by improving voter turnout. For an effective foreign policy, according to Huntsman, Americans “need to be united on the home front.” With a weak economy, the US has no leverage in international trade negotiations which seek fewer restrictions on trade barriers. With the world lacking leadership, the Obama Administration has attempted to project its strategic turn to the Asia-Pacific. However there will always be a concern that the US may be unable or unwilling to sustain its role in the region given the lack of a concerted world view. In line with current government officials, Huntsman believes that the future of the US does not lie in Iraq and Afghanistan, but in Asia. Huntsman proposed that the youth of today should have linkages with Asia in the same way that earlier generations had with Europe, participating in a shared culture and exchanges. Seemingly optimistic, Huntsman said it boils down to the “people to people” relationships and connections to reinforce and strengthen US foreign policy. In the preamble to a question, the moderator invited discussion about how in recent times, the US has had to balance cooperation with competition – what Shambaugh calls “coopatition.” Certainly, balancing cooperative efforts, not appearing to ‘hold China back’, and maintaining global and regional primacy is not an easy task. Huntsman interprets US-China dynamics pragmatically; when working with China on causes of mutual interest (such as China’s WTO accession), the US is able to manage the competitive dynamics of the relationship. However, the US is failing to put at the forefront the issues on which the two powers can collaborate effectively. Overall, Jon Huntsman provided an honest, albeit moderated, conversation about the state of US foreign policy regarding China specifically and Asia more broadly. Drawing on his experiences in different US administrations and most recently as Ambassador to China between 2009-2010, Huntsman offered unique insights, personal anecdotes and policy points like a candidate just off the campaign trail (or potentially still on that trail). Perhaps he is still reflecting on his failed presidential campaign, including the debates in which antagonistic opinions were rewarded while his more reasoned approaches to policy left the crowd cold. If, as Huntsman claims, there are “impressive personalities coming forward in China” that hold pragmatic viewpoints, the American public should watch the leadership transition and hope that the US can engage its largest potential threat – or opportunity. The convergence of economic interests, shared transnational threats perpetuated by globalization and balancing powers are drivers of regional security cooperation in Asia. As recent events in the South China Sea have illustrated, how to deal with these issues and the conceptualization of threats to state security has differed across Asia. Therefore, rather than caving to external pressures and trying to be like the European Union or NATO, a regional security framework for Asia would need to be organic and based on the distinct experiences, interests and values of Asian states. In order to be successful, regional security mechanisms in Asia must: take a pragmatic, bottom-up approach to regionalism; involve China and the US as strategic players; and, establish a clear division of labor among existing political and security entities to promote maximum efficiency. Increasingly states in Asia are incorporating non-traditional security issues such as energy security, human security, threats caused by climate change and other transnational issues into their traditional state military-centered security institutions. Attaining security, according to Alan Collins (2003) involves effectively managing threats and having sufficient access to resources to maintain relative peace and stability. For example, part of China’s energy security strategy is to control the supply chain by gaining equity positions in the oil sector using national oil corporations. In the wide regional landscape of Asia, states have the goal of political interdependence and territorial integrity, but in part their lack of agreement regarding what constitutes a threat has led to the stalling of deeper regional security cooperation. Security cooperation in Asia combines power-political and institutional approaches to encompass joint actions to advance a common security goal. Security architecture, meanwhile describes a broader security environment in which distinct mechanisms and processes interact with the aim of ensuring regional stability. There is no indication that states in Asia will initiate a new comprehensive regional security architecture. Europeans frequently criticize the multitude of regional institutions and loosely structured arrangements in Asia; outsiders have argued that Asia must follow a European model to succeed in promoting functional cooperation and real integration. For Asia, a more likely path is to take a pragmatic, step-by-step, bottom-up approach to regionalism instead of an idealist, comprehensive, top-down pan-Asian ‘vision’ approach similar to Europe. Given the delicate nature of security and historical animosities built over time, a pragmatic approach such as the institution of the Shanghai Cooperation Organization are a way forward for regional security. Originally started to combat terrorism, separatism and extremism in Central Asia, the SCO has added observers and dialogue partners in addition to additional issues of drug trafficking and economic issues. The SCO brings together countries which did not previously consult together. Any approach to regional security in Asia must take into consideration the United States and China as leading regional powers. The US alliance system is the most important feature of security in Asia and is the central stabilizing factor. Both the US and China prefer a bilateral structure over multilateral institutions as the most efficient way to organize state security policy, and for the US because of geographic concerns. The ‘hub and spoke’ pattern enables the central power to have more influence over its junior partners. Further deepening bilateral security relations is part of the US Asia-Pacific Strategic Engagement Initiative. Moreover the rise of China and India has led states to reconsider regional security dimensions; as China continues to flex its strategic muscles in the South China Sea and continues with a charm offensive in the Pacific, Asian states will need to gauge future bilateral and multilateral relations. The incorporation of the US into the East Asia Summit and China into ASEAN + 3 are examples of regional security cooperation extension. With overlapping membership and areas of capability, the “current alphabet soup of groupings” (Bisley, 2009) has not met the demand for institutionalized security cooperation. As Jim Rolfe (2008) highlights, relations within and between these organizations are complicated. Therefore there is a significant need to set out a clear division of labor among political and institutional entities. The desire for APEC to include a security dimension demonstrates the changing attitudes to security cooperation. A regional security architecture is needed to facilitate regional order, and the broad range of multilateral mechanisms – including platforms such as the Shangri-La Dialogue, ASEAN Defense Minister’s Meeting, the EAS, ARF and others – need to be catalogued and work together in a more constructive way. With an active secretariat, historical longevity and due to the fact that it is not led by China, Japan or the US, ASEAN is the premiere regional grouping; it would however need to change its membership rules and the ASEAN way in order to take a central role in security maintenance in Asia. Because of the changing regional landscape in Asia, the prospects for security cooperation rely primarily on the attitudes of regional powers. China, India, the US and Japan approach state and regional security based upon their own interests. These powers have already demonstrated their desire to take part in multilateral institutions alongside deepening of bilateral relationships and alliances. There is genuine interest in Asia in the ability of cooperative elements of existing security architecture to reduce strategic uncertainties, improve policy coordination and collaborate on nontraditional security problems. While the drivers for regional cooperation are evident, nationalism (including increased military modernization), historical animosity, and balance of power thinking remain as impediments to a concerted architecture. Therefore, when considering regional security architecture in Asia, policymakers must take into account the achievement of relative international strategic stability in the post-Cold War period for such a diverse region. A forced architecture from non-Asian states (such as former Australian PM Kevin Rudd’s Australian-led Asia-Pacific community) has already been rejected, and is a clear sign that like ASEAN, movements must be made from within Asia. As modern states, China and India should not be examined in isolation, but rather placed within the context of an international system dominated by unequal and competing states. The rise of two developing nations – which together comprise one-third of the global population – in economic, political and strategic realms of international relations provides ample content for scholars and strategists. Factors enabling and perpetuating the rise of China and India are dissimilar; the differences in the two states’ strengths and weaknesses emphasize the power disparity between them. First, China has a larger economy and is experiencing faster economic growth than India; this economic prowess, when combine with China’s status as a major power within the United Nations and other international institutions enables Beijing to minimize India’s international political capabilities despite its period of ‘shining’. Finally, Beijing’s comprehensive grand strategy and increasing military planning and spending compared to India’s muddled strategy and slower spending have given China a strategic advantage. The end of the twentieth century was tumultuous for China and India. Since economic reforms in 1978 and 1991, respectively, China and India focused on state-building to perpetuate regime legitimacy. The arrival of the United States as the global hegemon at the end of the Cold War caught the attention of both China and India; India aspired to limit its vulnerabilities by improving relations with the United States while encouraging the construction of a multipolar order, and finding its own place in the international system. Asia was transitioning to a regionally unipolar order, however, dominated by China. (Mohan, 2007) This essay examines the economic, political and strategic differences between the rise of China and the rise of India. India meanwhile grew its economy on the back of internal sources, leading to a potentially more stable level of trade. (Lieberthal, 2007, p. 4) India’s economic rise has coupled with its security interests in its relations with the United States and how others think of the state. The Indian economy has grown at a rate of about 7.5% over the past decade; however economic reforms to continue this growth have been hampered by political contestation over reforms and lack of domestic political consensus. (Tellis, 2011, p. 4) By being inward-oriented India’s economy has weathered the global financial crisis, and enabled it to work on creating an international agenda. However, when viewed in the bilateral context, India “is not a rising power in material terms compared to China.” In 2010, China’s GDP ($5.88 trillion) was more than three times as large as India’s ($1.73 trillion). (Fravel, 2011, p. 78) The economic gap between China and India continues to widen, causing China to see India as a non-competitor in this realm. In the contemporary political sphere, China and India face competing priorities within their region and internationally. Because of China’s ability and desire to enter new markets in search of energy security, trade relations and strategic partnerships, China’s rise poses a potential threat to the stability of India, whereas India’s rise has left Beijing relatively unaffected. In fact, China’s major power status has helped it to minimize the role and capabilities of India. Chinese leaders believe it is in the national interest to become a major power, and that China should be treated as such when participating in international institutions. Although for China being a major power does not undermine its status as a developing nation when it comes to shrinking its carbon footprint. China’s status as a permanent member of the United Nations Security Council is a clear advantage over India; not only can Beijing impede efforts by India to gain a permanent seat, but it can offer political protection to rogue regimes such as Iran and now historically Myanmar through its veto power. Thus China’s rising political clout has enabled it to hold India back within the United Nations while also getting an advantage in gaining energy resources: “Beijing’s ability to provide political cover is a fundamental element of China’s thriving commercial ties with a host of problem states.” (Chellaney, 2008, p. 26) Diplomatically, China has closer relations with its East Asian neighbors than India has with its South Asian neighbors. In border disputes and relations with Pakistan, China also has the upper hand. Moreover, China has been constructing trade and transportation links with India’s neighbors in order to benefit China’s greater interests, bringing India under strategic pressure. Pursuing an “omnidirectional diplomacy combined with military modernization,” China and India have in different ways come to terms with the implications of their rising power for their national and international interests. (Fravel, 2011, p. 70) To the dismay of scholars and strategists, India has not proclaimed a consistent strategic vision of its goals within the international arena. Aseema Sinha and Jon P. Dorschner (2010, p. 77) argue that “India’s strategic vision and behavior at the international level are marked both by change and remarkable continuity.” In contrast, China seeks “a peaceful and stable external environment,” “peaceful development,” and “aims to maximize its autonomy in the international system to limit the constraints of unipolarity.” (Fravel, 2011, p. 69) The difference in preparedness between China and India is evident in their plans for naval power projection in the Indo-Pacific region. In the economic, political and strategic realms of international relations, China has been the more aggressive and dominant player during its rise when compared to India. (Chellaney, 2008, p. 31) Although the rise of China and India are often mentioned together, there are substantial differences between them. India, overall, presents a potential force, “while China is active in the here and now.” (Sinha and Dorschner, 2010, p. 77) China’s rapid pace of perpetual development has placed it well ahead of India in terms of domestic infrastructure and development, military and economic strength, and hence political clout. Each of the numerous factors and implications surrounding the rise of China and India are significant topics of discussion in their own right. Er, L.P. and Wei, L.T. (2009) The Rise of China and India: A New Asian Drama. Singapore: World Scientific Press. Fravel, M.T. (2011) “China Views India’s Rise: Deepening Cooperation, Managing Differences,” in Ashley J. Tellis, Travis Tanner, and Jessica Keough, eds., Strategic Asia 2011-12: Asia Responds to Its Rising Powers, China and India. Seattle: The National Bureau of Asian Research. Lieberthal, K. (2007) “How Domestic Forces Shape the PRC’s Grand Strategy & International Impact,” in Ashley J. Tellis and Michael Wills, eds. Strategic Asia 2007-08: Domestic Political Change and Grand Strategy. Seattle: The National Bureau of Asian Research. Mohan, C.R. (2007) “Poised for Power: The Domestic Roots of India’s Slow Rise,” in Ashley J. Tellis and Michael Wills, eds. Strategic Asia 2007-08: Domestic Political Change and Grand Strategy. Seattle: The National Bureau of Asian Research. Schweller, R. and Pu, X. (Summer 2011) “After Unipolarity: China’s Visions of International Order in an Era of U.S. Decline.” International Security, 36/1, pp. 41-72. Sinha, A. and Dorschner, J. (January 2010) “India: Rising Power or a Meer Revolution of Rising Expectations?” Polity, 42/1, pp. 74-99. Tellis, A. (2011) “The United States and Asia’s Rising Giants,” in Ashley J. Tellis, Travis Tanner, and Jessica Keough, eds. Strategic Asia 2011-12: Asia Responds to Its Rising Powers, China and India. Seattle: The National Bureau of Asian Research. In much of Asia, the growing middle class is driving up demand for freshwater supplies, water-intensive crops and resource-intensive goods that have been taken for granted in the West. With only one-third of global water resources for three-fifths of the world’s population, efficient use and management of water is critical to social, political and economic stability in Asia. Climate change and increased demand are putting strain on the global water supply, and uncertainty of future reserves and access to existing stores are making water a disputed commodity. In Water: Asia’s Next Battleground, Dr. Brahma Chellaney explores the geopolitical consequences of water management policies in Asia set against the landscape of a water-stressed continent. A fantastically detailed look into the domestic and international issues of several key states in Asia, the book demonstrates that the management of the increasingly scarce and necessary resource is invariably complex and can create tensions among neighbors. As potential solutions to an impending crisis, Chellaney calls for the establishment of Asian norms for transboundary water resources, inclusive and coherent basin organizations, and a holistic approach to planning, conservation and water quality. China is at the heart of the problems and solutions of the impending water crisis in Asia, with its reluctance to be a leader for multilateral arrangements, its focus on dam-building and neglect of the environment. Poised to become the scarcest essential resource in the world, water scarcity affects internal and external security of states. Compared to all other regions, Asia has the least amount of freshwater per capita and one of the lowest levels of water productivity and efficiency. Chellaney defines water shortage as “an absolute deficiency where the level of available water cannot meet basic societal and economic needs”, and water stress as having “less than 1,000 cubic meters of water per capita”. The goal of water security is for every person to have dependable access to sufficient, safe and affordable water, while keeping the ecological systems intact and thriving. Asia is, according to Chellaney, negligent in its use and management of natural resources, and water is no exception. Inadequate supply, increasing pollution and diminishing natural wetlands are critical issues faced by the rapidly-developing states at a time when demand continues to rise. Improvements in irrigation technologies and better widespread use of drip irrigation may improve Asia’s water security. While the rest of the world uses rainwater as its primary source for agriculture, Asia has a much higher percentage of cultivated land using irrigation than any other continent. Chellaney calls Asia “the global irrigation hub” and notes that the Asian method of irrigation is making the land less productive than rainwater-fed land. Throughout the book, Chellaney reiterates the need for more investment in drip irrigation, particularly in India, and steadily criticizes China’s South-North Water Diversion Project as another troubled megaproject. Large-scale irrigated farming has helped to reduce rural poverty and enabled greater agricultural self-sufficiency in many Asian countries. As top water-intensive crops, rice and cotton continue to be critical to Asian livelihoods. Despite food security underpinning the rise of Asian economies, the increasing population and their desire for water-intensive products are fueling rivalries and tensions. The Tibetan Plateau and Brahmaputra River are examples of significant areas where access to water is being controversially modified. With control of the Tibetan Plateau, China has attempted to tap resources from each international river originating in the area; Chellaney suspects that a central part of the Great South-North Water Diversion Project in China is the diversion of the Brahmaputra River. As the essential river for Bangladesh and a critical basin for India, any plans to modify the flow or affect the ecosystem of the Brahmaputra River will impact millions of people. The increasing number of Chinese-led megaprojects exploiting rivers flowing from the Tibetan Plateau are worrying their neighbors and making water a divisive issue. Chellaney lambasts the Chinese government, run by individuals with engineering backgrounds, for perpetuating Mao’s idea of controlling nature rather than bending to it (ignoring potential environmental damage and disruption to wildlife) and for resettling entire villages and towns to make way for megaprojects. China has more dams in operation than all other countries combined, and has over 100 dam projects in dozens of countries. However China continues to publicly claim that is has no plans to divert the Brahmaputra River, and Indian suspicion of this claim is growing. Despite its unique position supplying river waters to the most individual countries, China does not have a water-sharing agreement with its neighbors or co-riparians and is instead embroiled in disputes with riparian neighbors; rather than joining the Mekong River Commission or other multilateral solutions, China’s preference for bilateral arrangements somewhat undermine the Commission and future efforts. Much of the conflict – current and potential – over water access seems to be on racial and ethnic lines. Tensions among different ethnic groups within Bangladesh, Uzbekistan, Sri Lanka and India are made worse by water disputes. Chellaney’s case studies demonstrate limited ability of a purely supply-side strategy to meet the challenges brought on by water distribution. In each of these states, governance is poor and water disputes are associated with “deeper socioeconomic discontent, fueling a cycle of unending unrest and sporadic violence”. When citizens lose confidence in the ability of their government to be fair and impartial, new threats arise from an erosion of the rule of law. Chellaney offers a direction for relevant states in Asia to mitigate their water-sharing disputes and challenges, but the book would benefit from a more detailed prescription and less repetition of his outwardly anti-China rhetoric. For both domestic and international disputes, Chellaney prescribes a holistic approach that is long-term, adequately integrates both demand management and supply-side approaches, focuses on quality as much as quantity of water, and utilizes input from diverse stakeholders and management at different levels. Cooperative relations are necessary to solving water disputes and protecting resources for the future; these relations can then broaden to include additional areas of cooperation. There must be trust among co-riparians, with competition for resources minimized to enable a foundation for a contemporary water-sharing agreement. While Asia could use another green revolution to institute more practices for efficient water use, another significant need is to build institutions to facilitate a water-sharing framework in transboundary basins. Strategic planning and resource management are key to supervising stocks of Asia’s water supply; however without unified norms and institutions accountability and structure will be lacking.